Last Friday Pranava’s 2nd Joylato ice cream shop opened in the center of Reykjavik, on the same street as two other Divine Enterprises, the restaurant Ecstasy’s Heart-Garden and the Sangitamyia the nectar music shop and only a few hundred meters away from the famous church Hallgrímskirkja. Joylato uniquely works with N2, the newest invention in ice cream making, using liquid N2 to instantaneously create ice cream fresh from bases that are available in vegan quality and with raw milk. Most of the ingredients are organic and if possible local. After a first Joylato store in his home town Kopavogur in the suburbs of Rekjavik this new enterprise is really well located and from day 1 people rushed in to get their individually made ice cream. Yesterday there were over 200 customers and the whole production was sold out. The new ice cream shop is combined with a health food shop where Magnesium, vitamins, cold-pressed oils, organic snacks and home-made chocolate are available. On June 4th, 2016, Race Reporter Jeff Rowthorn was at the Canadian Military College in Kingston, ON, for the Sri Chinmoy 6 Hour Race. The race takes place on a 1.1km loop that is flat and scenic. A great group of runners and volunteers, as well as agreeable weather made for an excellent day. Greater than the greatest, really! Deathless you fight for the Muslim race. Shall smash the frown of ignorance-night. Ali, you are Eternity’s pride. Your victory’s smile is the pole-star guide. 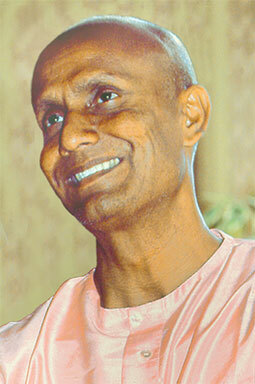 During a concert tour in Hungary, Sri Chinmoy gave an interview for a TV stationb where he talks about his visit to the country and his recent Peace Concert. Sri Chinmoy also talks about his understanding of how God’s love is the most powerful force for inspiring people to change their lives for the better. Photographer Janne Ollila posted this nice shot of the statue in Vaasa on flickr.